Despite his stature, Ellsworth Kelly remained in touch with his beloved childhood hometown of Oradell and with the Oradell Public Library. During the capital campaign for the renovation of the Library (2006 - 2008), he made the single largest donation of funds. Mr. Kelly donated major books and catalogs to supplement the collection of his materials in the Library's Local History Archive. To help celebrate the Library's 100th anniversary in April 2013, he donated a print Color Squares 2, 2011, which hangs above the mantle in the Library's North Reading Room. 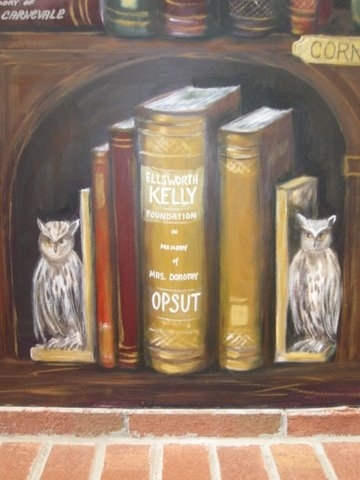 Mr. Kelly last visited Oradell Public Library for its 100th anniversary on Sunday, April 28, 2013. 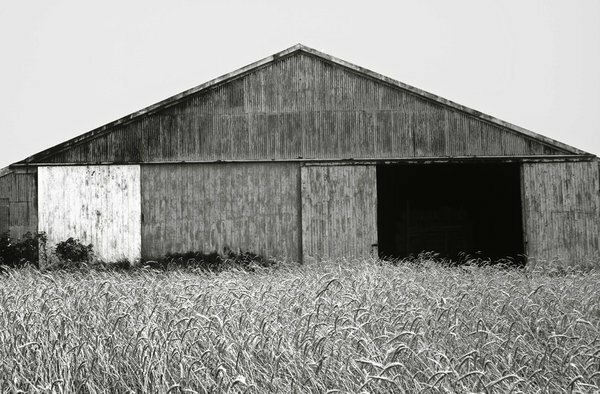 Internationally renowned artist and former Oradell resident Ellsworth Kelly had a posthumous exhibition of his photographs at Matthew Marks Gallery. Remember that one of Kelly's earliest paintings is of a barn in Oradell and that he first developed his love of shape and color in Oradell as a child.